I recently posted to show you some Bourjois products I picked up on 3 for 2 in Boots. 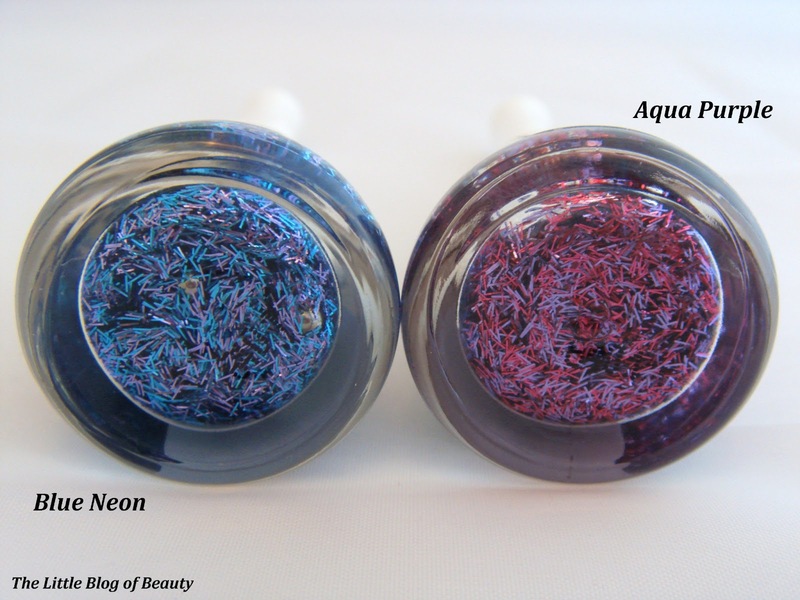 Two of these products were Bourjois' new Laser Toppings in Aqua Purple and Blue Neon. 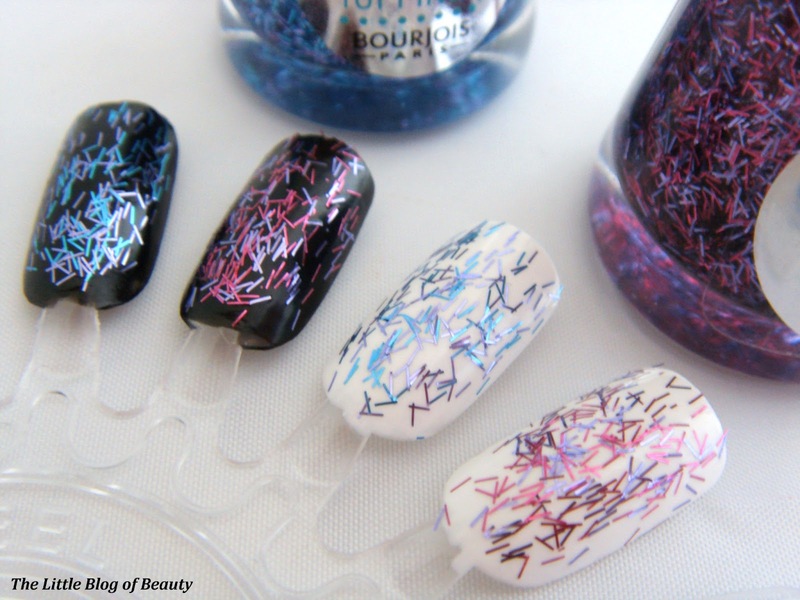 Laser Topping consist of a clear varnish containing strips of glitter that Bourjois refer to as light reflecting fibres. Aqua Purple contains pink and purple fibres and Blue Neon contains purple and blue fibres. This also comes in the shade Sun Scales, which I believe is a gold colour. 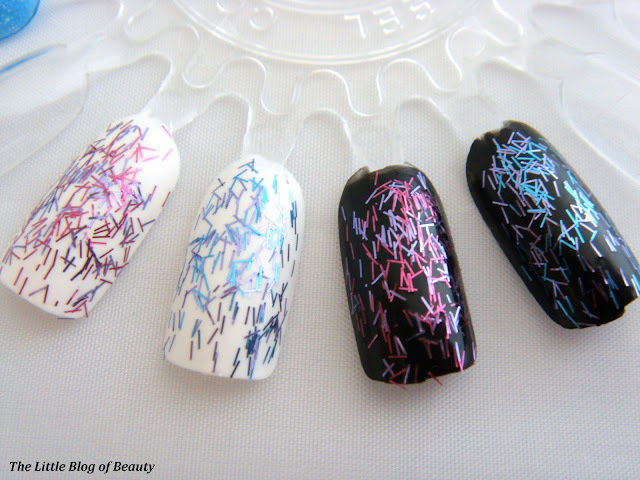 I tried this over a black nail varnish and a white nail varnish and I think they both look pretty good. Doing the white was a bit of a pain though as I don't actually have a white nail varnish so I had to use a tip whitener which had a really thin brush! 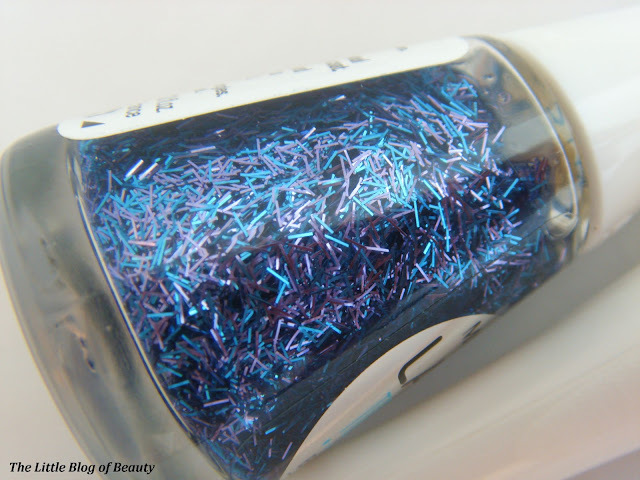 You could wear this over a similar shade of nail varnish however it's easier to see when there's a contrast between the toppings and the nail shade. 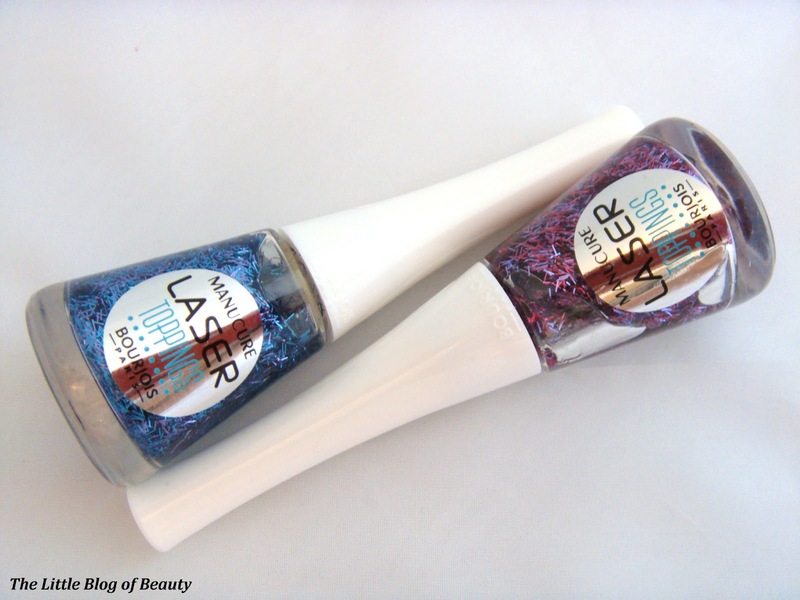 The fibres leave a slightly rough finish on your nails so you may want to apply a top coat over the top to make a smoother surface. A top coat will also help seal these down to your nails and stop you being tempted to pick them off (if you're anything like me!). 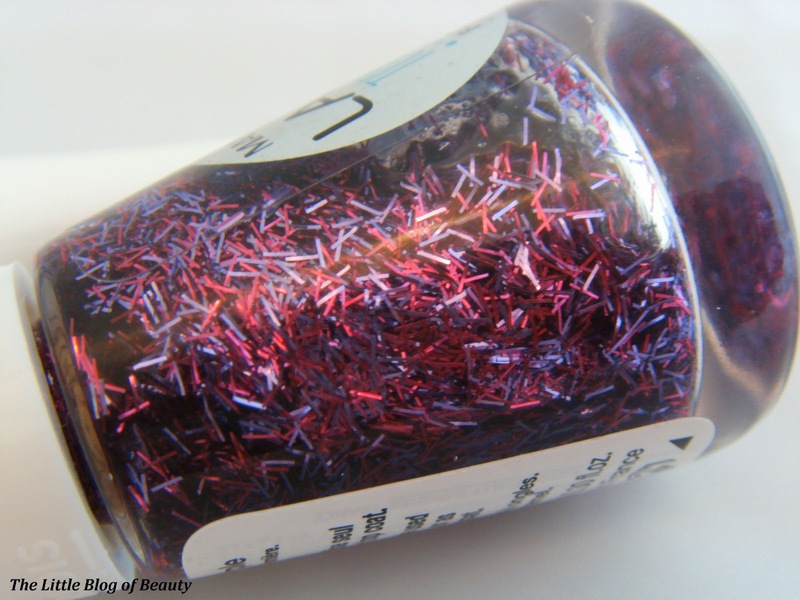 When you apply the Laser Toppings you also need to keep an eye on any fibres that are left hanging over the edge of your nail (which you can just see on the picture above) and either push these back onto the nail or pull them off as these will be scratchy once they've dried in place and obviously slightly annoying as well! These aren't as difficult to remove as glitter because you aren't left with a full coverage but they are still a bit of a pain to remove. I wouldn't recommend using a dip in remover as the fibres will just get left behind in the pot. Overall I'm really pleased with these and think they create an interesting look. Bourjois Laser Toppings cost £5.99 each.